You have a lot to get used to after your baby is born. That’s why Capital Women's Care Howard County located in Fulton, MD, offers postpartum care and counseling services. Melanie McDowell, MD, FACOG and Marcela McDonald, MD, FACOG offer help and advice on everything from breastfeeding to taking care of yourself with diet and exercise. If you want to know more about the postpartum care services available, call or schedule an appointment online today. After your baby is born and you go home, your life changes significantly, whether it’s your first baby or not. 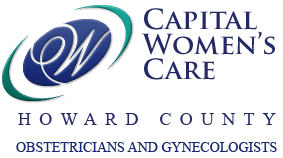 Capital Women’s Care offers in-office postpartum care and counseling services to help you take great care of your baby and yourself, ensuring that you both have a healthy start together. The team offers practical advice on breastfeeding and taking care of your breasts, perineum, and/or cesarean incision, as well as support for emotional changes. What are best practices for postpartum care? Every woman approaches motherhood differently, and how you take care of yourself and your baby is up to you. Your doctor and postpartum counselor will offer advice specific to your needs. However, some basic guidelines can help make your first days, weeks, and months of motherhood a little bit easier. First, take care of your body. This means making sure that you still follow a healthy diet with plenty of iron and fiber to support healthy breast milk production and an active lifestyle. This could be as simple as taking a few short walks during the day and then gradually building up to more strenuous exercise. You also need to take care of your cesarean incision or any perineal tears so you heal quickly. You also need to take care of your breasts, either to support healthy and comfortable breastfeeding or to reduce discomfort if you’ve chosen to use bottles and formula. If you find that you are feeling overwhelmed, depressed or anxious or if you’re having thoughts about harming yourself or your baby, contact Capital Women’s Care immediately. The doctors and staff offer expert care for women who experience postpartum depression or mood disorders. When should I call the doctor for help? The postpartum care team at Capital Women’s Care is here to help you stay healthy and to adjust to motherhood. It’s a valuable resource to help you and your baby get off to the right start. Call or schedule a consultation online today to learn more about the postpartum services available.